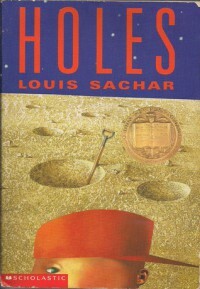 Holes is definitely an upper grade book. But its so good! We read it in 7th grade (I just looked it up and the reading level is 4.6 though!) and it was the year the movie came out and I remember going to the movie theater and seeing it so I could get bonus points. The redemption story is so good and Louis Sachar does a great job with character development, I kind of wish I had time to reread it now!